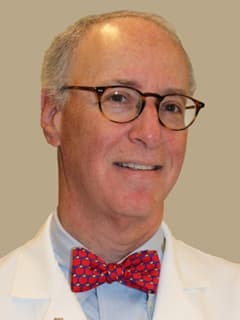 Michael A. Levine, MD, FAAP, FACP, MACE, is a pediatric endocrinologist and Medical Director of the Center for Bone Health at CHOP. Dr. Levine is a pediatric endocrinologist and Director of the Center for Bone Health at The Children’s Hospital of Philadelphia. He holds the Lester Baker Endowed Chair in Pediatric Diabetes. His primary clinical interests are endocrine diseases that affect bone and mineral metabolism, particularly osteoporosis, primary hyperparathyroidism, hypoparathyroidism, rickets and genetic bone disease. Dr. Levine has an active laboratory research program that complements and extends his clinical studies. He has identified the molecular basis of several inherited disorders of mineral metabolism. His research interests extend to the molecular basis for embryological development of the parathyroid glands. Dr. Levine has published more than 250 manuscripts, chapters and reviews. He is a founding executive editor for the Journal of Clinical and Translational Science and a member of the Executive Board of the Journal of Clinical Endocrinology and Metabolism. He is a member of numerous professional societies, including the American Society for Bone and Mineral Research, American Society for Clinical Investigation, Association of American Physicians, and the American Pediatric Society. He is a Fellow of the American College of Physicians, the American College of Endocrinology and the American Academy of Pediatrics. Gannon, A.W., Monk, H.M, Levine, M.A. Cinacalcet Monotherapy in Neonatal Severe Hyperparathyroidism. J Clin Endocrinol Metab, 2014. Roizen, J.D., Shah, V,. Levine, M.A., Carlow, D.C. Determination of Reference Intervals for Serum Total Calcium in the Vitamin D-Replete Pediatric Population. J Clin Endocrinol Metab, 2014. Ziqiang Y, Opas EE, Vrikshajanani C, Libutti SK, and Levine MA. Generation of Mice with a Conditional Null Allele for Gcm2; Transgen Res, 2014. Dong Li, Opas EE, Tuluc F, Metzger DL, Hou C, Hakonarson H, Levine MA. Autosomal Dominant Hypoparathyroidism Caused by Germline Mutation in GNA11: Phenotypic and Molecular Characterization; J Clin Endocrinol Metab, 2014. Dasgupta D, Wee MJ, Reyes M, Li Y, Simm PJ, Sharma A, Schlingmann KP, Janner M, Biggin A, Lazier J, Gessner M, Chrysis D, Tuchman S, Baluarte HJ, Levine MA, Tiosano D, Insogna K, Hanley DA, Carpenter TO, Ichikawa S, Hoppe B, Konrad M, Savendahl L, Munns CF, Lee H, Juppner H, Bergwitz C Mutations in SLC34A3/NPT2c Are Associated with Kidney Stones and Nephrocalcinosis. J. Am. Soc. Nephrol. 2014. Li D, Weber DR, Deardorff MA, Hakonarson H, Levine MA. Exome sequencing reveals a nonsense mutation in MMP13 as a new cause of autosomal recessive metaphyseal anadysplasia. Eur J Hum Genet. 2014 Apr 30.2014. Ziqiang Y, Opas EE, Vrikshajanani C, Libutti SK, and Levine MA. : Demonstration that Gcm2 Haploinsufficiency Causes Parathyroid Dysfunction. Shepherd, J.A. Fan, B.D. Steinberg, D. Wacker, W. Barden, H.S., Ergun, D, Wu, X.P., Levine, M.A. NHANES whole body DXA reference data for GE-Lunar systems, J Clin Densitometry, 2013.